Boxes are interesting, useful items to make requiring only a few tools and a small amount of wood. With a little imagination there are endless shapes and forms that can be made. Wood for making boxes needs to be well seasoned with a moisture content of 10 per cent or less as this will reduce any chance of the box components moving once it has been made. Even if well seasoned timber is used, there is still a chance that the box parts may move, especially with burrs and figured timber. 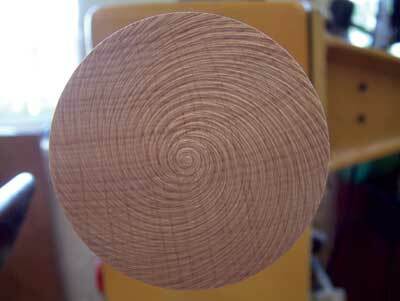 This is because figured timber moves more than straight grain timber. Changing stresses in the wood, where the box is situated in the house and where there is a change in atmosphere, can affect it no matter how good a fit the lid is when you make the box. 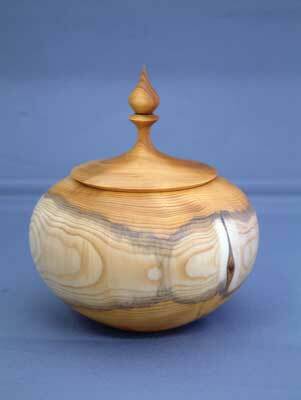 Small boxes are usually best made from end grain timber. 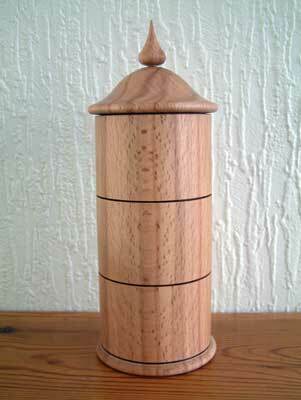 Native or exotic timber can be used as can small dry pieces of end grain burrs. A good rule of thumb when making boxes is to allow two-thirds for the body and one-third for the lid. 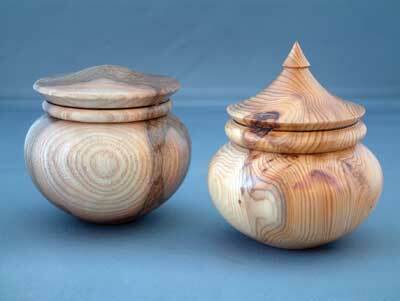 Boxes don't necessarily have to be small - they could easily be made into larger containers such as a ginger jar. 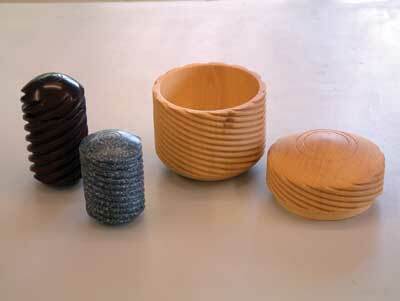 Boxes tend to be handled quite a bit, therefore, require a durable finish. Lacquers, oils or waxes could all be used but the choice is yours. My personal preference would be a lacquer or several coats of oil. 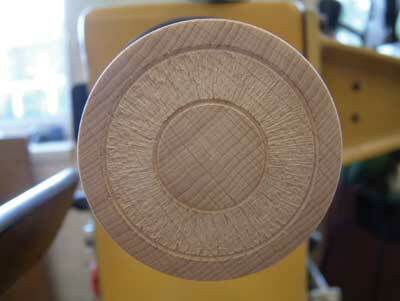 To start, I usually mount the piece between centres. 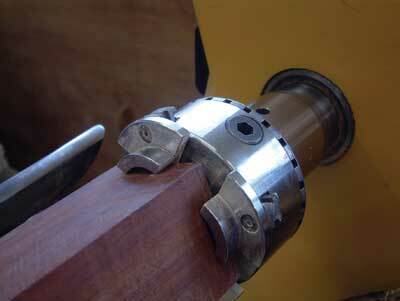 A spigot at one or both ends is cut so that the piece can be mounted into the jaws of a chuck. 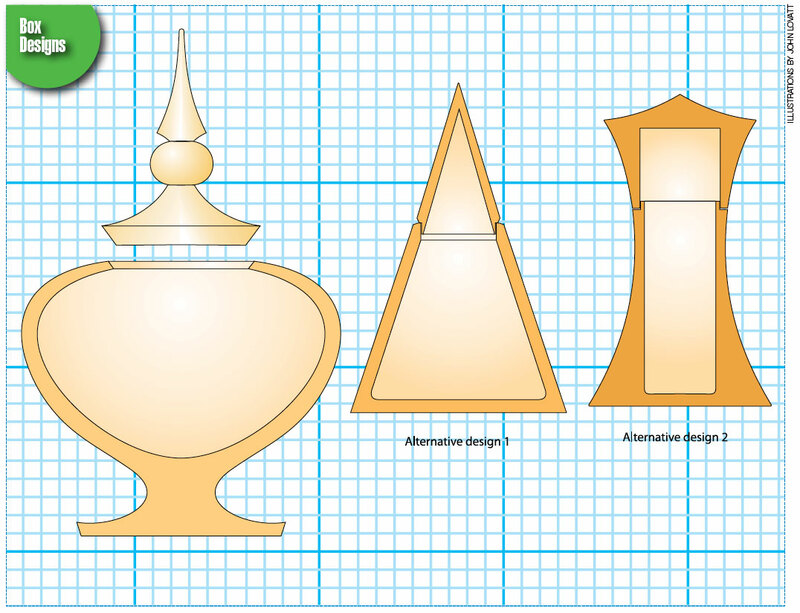 This gives more freedom to work on it and I can part off the lid without any constraints. 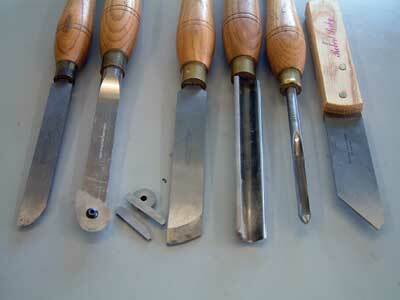 My preference would be small dovetail or gripper jaws - small being approximately 38mm-50mm (1 1/2in-2in). 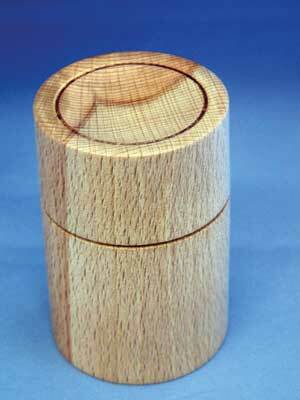 I often use jam fit chucks made out of off cuts of wood when making boxes, in particular when reverse chucking the bottom of a box to work on its base. "Small boxes are usually best made from end grain timber"
- Rough boxes to shape first as this will enable you to dry timber of more than 10 per cent moisture content quicker. You will need to turn the wall thickness of the box two or three times, assemble the box to help keep its shape and then re-turn it once it is dry. You could experiment to see how it works. 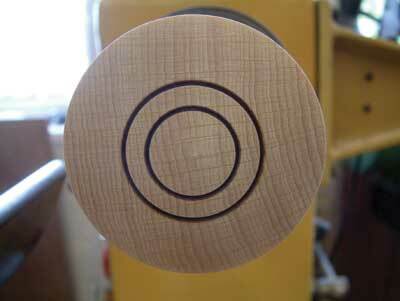 - When using a spindle gouge to drill the centre hole, mark the gouge with tape or something similar to use as a depth stop. 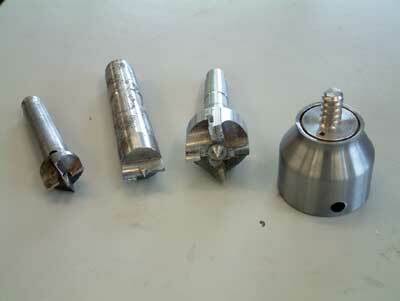 An alternative way of hollowing the base of a box with a gouge would be to use a Forstner or saw tooth cutter in a drill chuck mounted in a tailstock. - Pay particular attention to keeping tools sharp as this will give you the cleanest cuts and reduce the amount of sanding needed. It will also reduce the chance of losing any detail. 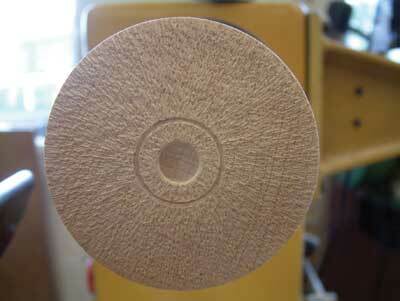 - Always run the lathe at a slow speed to reduce any heat build up when sanding, particularly as exotic wood, and even our own native yew (Taxus), will heat crack very easily. 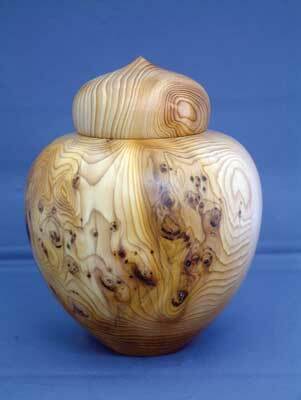 Choose well seasoned timber or rough to shape and dry the timber thoroughly as mentioned earlier. 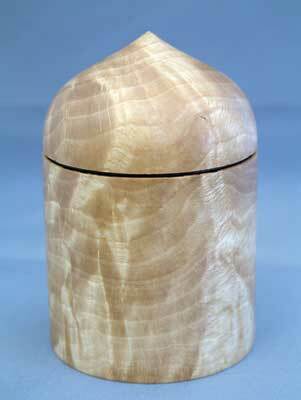 - Boxes generally look good divided into two-thirds base and one-third lid with one or two exceptions. 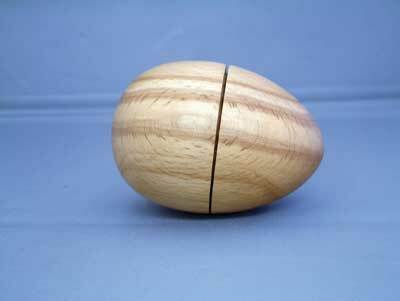 If the shape is a clam shell box or an egg-shaped box I would make the design half base and half lid. This is just a guide ­- there are no hard and fast rules.